Even the most charming wedding venue requires a personal touch to bring it to life. Decorations and props are essential if you want to make the venue your own for the day, and reflect you as a couple. However these small but important details can be difficult to get right, especially when you’re trying to stick to a budget. Over the past decade, the rise of the DIY wedding has put homemade back on the map. So if you’re looking to create the perfect independent wedding, we’ve got a few tips on how to get the décor just right. 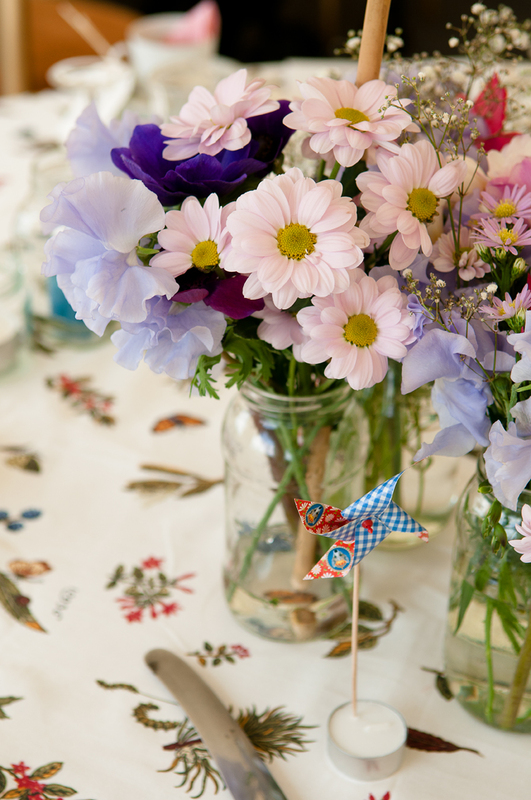 Theme and Colour Scheme Done well, DIY weddings can really have the wow factor. What makes them so special is that they are totally unique and full of personality. However, they can all too easily look chaotic if you don’t establish firstly a theme, and secondly a colour scheme for your big day. A theme can be anything from ‘bohemian’ or ‘1920s’ to something more niche and specific. However it’s crucial to have a concept that will direct the overall style of your décor if you want the individual aspects to harmonise. Equally, a colour scheme needn’t be strict. Perhaps you might go for metallics, pastel colours or classic black and white, or choose a few of your favourite colours that work well together. This will ensure that the wedding reception looks fantastic, both to your guests and on camera in your wedding photography. If you don’t stick to a colour group, you risk making the venue look gaudy and confused. Now comes the fun part. Once you’ve established the foundations for your décor, it’s time to start making your vision a reality. The Internet is a treasure trove of inspiration for DIY wedding decorations, and websites such as Pinterest are bursting with ideas. Be creative and seek out any items you might have at home that can be upcycled or decorated for the reception. If you’re keen to get your guests involved or really save on costs, ask creative members of your friends and family to help. Perhaps you know someone who’s a whizz with textiles, or a natural at flower arranging. For significant contributions, you could even ask for their input in place of a wedding gift. However try to be selective – remember that less is more. A few key areas to focus on are table decorations, the entrance, and any outdoor areas for photographs. Standalone frames, for example, can be fun props for guest photos, depending on style of wedding photography you choose. If you’ve already chosen a wedding photographer, it may be worthwhile having a chat to see if they have any good ideas for props and backdrops. Making your own wedding decorations is a great way to keep the budget under control, and it can be a lot of fun too. However just as you would if you were buying the centrepieces, props and decorations ready-made, remember to stick to a theme and colour scheme to prevent getting carried away. By doing so, your DIY wedding décor will look exactly how you pictured it, for a truly unique wedding reception that will wow your guests. Looking for a wedding photographer in Bedfordshire to capture your independent wedding? At Undivided-Love we love working with couples to create the perfect DIY wedding, and we’re full of ideas to bring it to life! Over the past decade, the rise of the DIY wedding has put homemade back on the map.